These big crybabies make us smile every time. 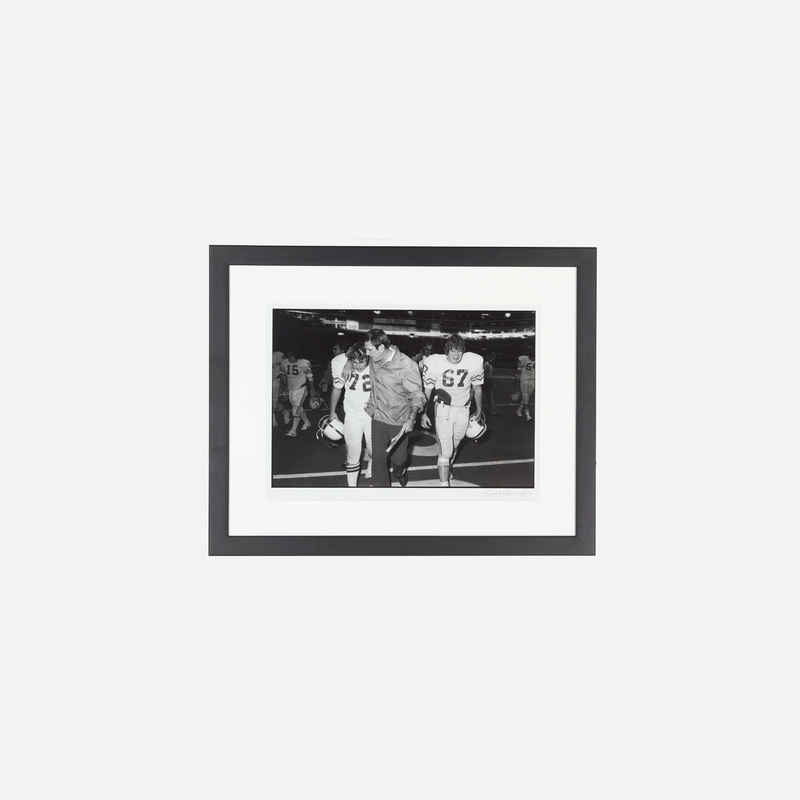 Photographer Geoff Winningham criss-crossed the state of Texas from 1975 to 1978 snapping black and white photos of high school football games. 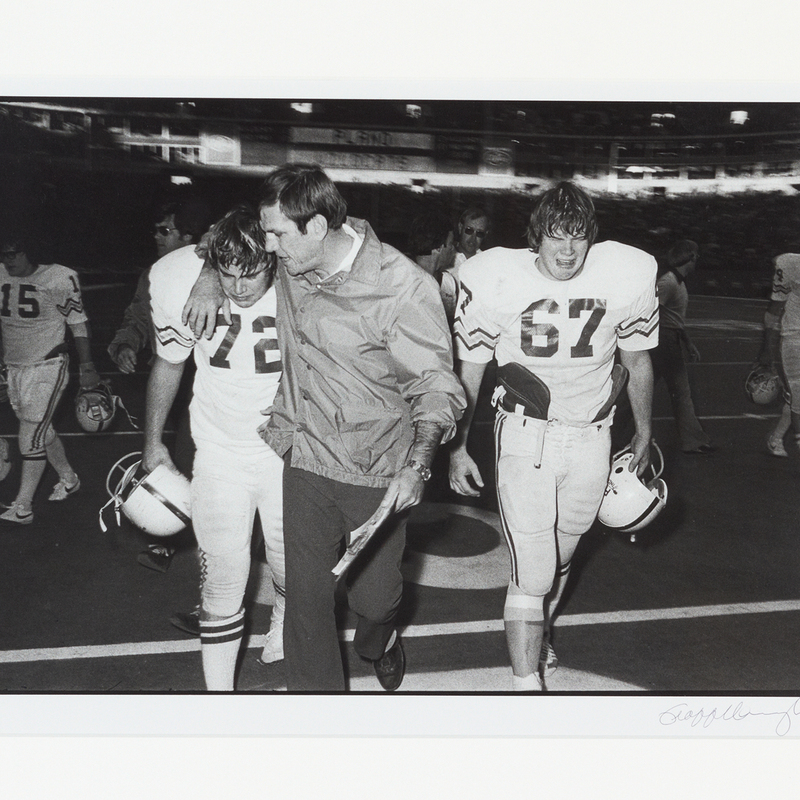 This game, played in 1977, shows Port Neches vs Plano and was featured in the 1979 book entitled Rites of Fall: High School Football in Texas (now regarded as a classic of American documentary photography). 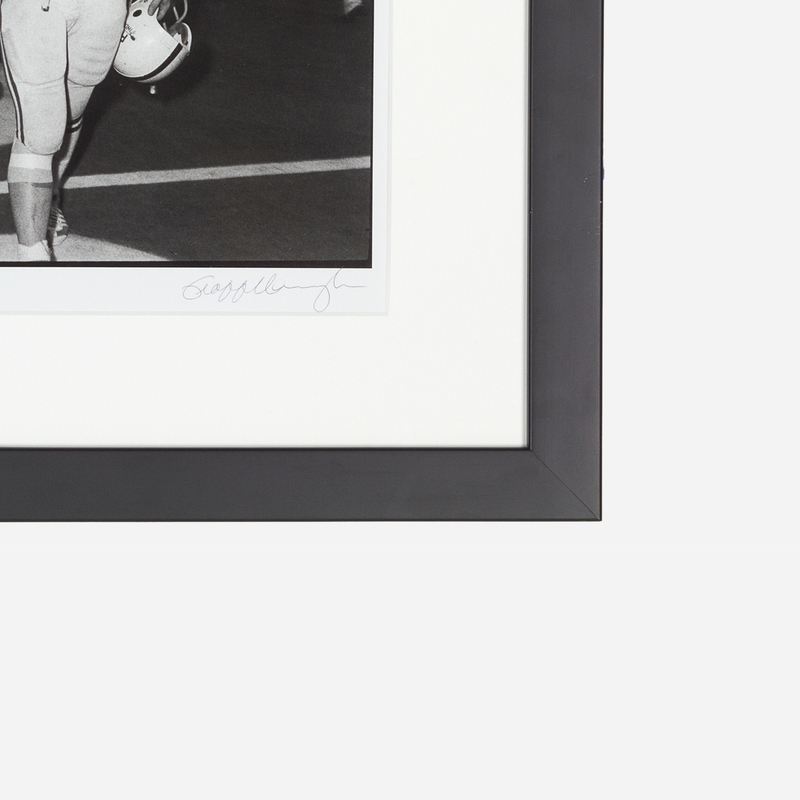 The photograph measures 11 1/2 x 17 inches (20 1/2 x 25 inches in frame). Photograph is in perfect condition. Very tiny scratches on right side of frame. Email us for detailed photos.